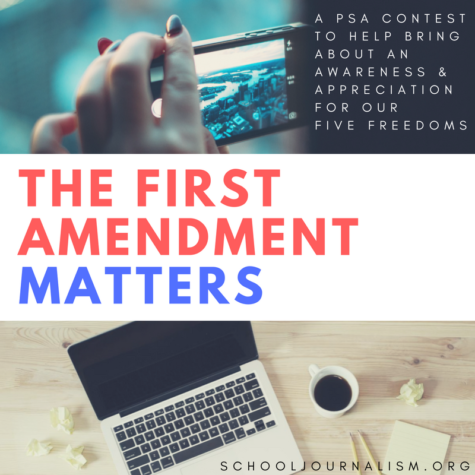 High School broadcast and online journalism teachers are invited to join a listserv to share ideas and solve problems together. Created by Carol Knopes, formerly of the Radio Television News Directors Foundation, the listserv is administered by the Center for Scholastic Journalism at Kent State University. Join here! Free video and audio tutorials, as well as lesson plans using smartphones and other mobile technology. Don’t create a problem for yourself over copyright infringement. Creative Commons provides music you can use, along with concise attribution instructions. Final Cut Pro is the video editing software of choice for journalists using Apple computers. Final Cut Pro does not make a version for Windows. Premiere is the most popular video editing program that works on both Windows PCs and Apple computers. Made by Adobe, it is comparable to the Final Cut Pro video editing program. iMovie is a simple, easy to use video editing program that comes free with the Apple operating system (it has no Windows PC version). Once you’ve finished editing your video (or audio), you’ll need to greatly reduce its file size so that it can be used on the Web. Soundslides has become a standard for creating audio slideshows due to its simple interface, low cost and its devotion to journalistic storytelling. To post Soundslides material on some sites, it must be converted to video. This can only be done with the professional version of the program. To convert it, go here. A voice-over is a narration done by a reporter, usually from a script. The voice is recorded over video clips that tell the story. A standup is when a reporter appears on camera to narrate part of a story. Some shooting tips to help you avoid some of these common mistakes: Trees or poles behind someone’s head, subjects who are darkened blurs because there was bright light in the background, boring shots of buildings. Not every school can afford Adobe Creative Suites, but that doesn’t mean you have to abandon multimedia journalism altogether. Here are some free alternatives that you can download online to perform many of the same functions as Photoshop, InDesign, Final Cut Pro and Premier, as well as photo editing and animation. With Animoto, you can create and share videos by uploading content from your computer or social media sites. Select a format and music if you want, and then share it. It is similar to Meograph (listed below), but Meograph incorporates more media options. Audacity is open-source, free sound-editing software that offers cross-platform compatibility. An easy, drag-and-drop infographic creator that includes hundreds of free design elements, allowing users to experiment with data visualization. Creatavist is a platform that allows you do create your own interactive storytelling experience by combining videos, text, images, audio clips, maps and more. FotoJet is a free online collage maker that enables you to create amazing collages, photo cards and posters quickly from its 170+ delicate templates, working perfectly in your browser without the hassles of downloading or installing anything! Gimp can be used for photo retouching, image composition and image authoring. Google’s media tools suite provides a variety of invaluable resources for news gathering and digital presentation. It combines access to websites like Google Maps, Youtube and other apps in a user-friendly platform. JQuery before/after plugin shows a before and after picture and lets a visitor drag a slider over the images to see the differences. Meograph is a user-friendly multimedia tool that is employed in a wide range of professions. It combines audio recording, like a narration, images and video (from YouTube) to create a “four-dimensional” storytelling experience. Mozilla Popcorn Maker, tailored to the needs of journalists. Quickly synchronize text, photos, maps and Wikipedia articles with audio or video to create an interactive video experience. Piktochart has free and paid options that make it easy to turn data into creative, graphic presentations. Seashore is an open source image editor for Mac OS X’s Cocoa framework. Scratch is easy to use animation software. It is targeted at students age 8 to 16, but anyone interested in creating or teaching the value of animation and graphics would benefit from using scratch. The process of making these animations, which can be interactive, gives students experience with multimedia and interacting with an audience that is invaluable to online journalists. Scribus is an open-source desktop publishing tool. Scrollkit helps you bring your long-form story to life by integrating larger fonts, parallax scrolling and multimedia embeds into the story’s online presentation. SoundCloud allows users to post original audio clips — including music — to an online community of friends, family, fans and followers. The free software also lets users embed their files on different websites, including Twitter and Facebook, which optimizes exposure. Synfig Studio is open-source 2D animation software. TwistedWave is a browser-based audio file editor. Vimeo is a video-hosting service similar to YouTube. Users can upload their own videos to make them publicly available, but Vimeo is preferred among more serious videographers because it offers better services and playback than YouTube. WeVideo is a browser-based video editor. Zeega is an open-source HTML5 platform for inventing new forms of interactive storytelling. Zentrick is another online tool that allows you to create an interactive video experience that encourages viewers to take action in response to what they’re viewing. It’s similar to Meograph or KettleCorn.